In a recent interview, Oprah Winfrey – who is playing a White House butler’s wife in Lee Daniels-helmed The Butler – has said she feels the time is finally right for audiences to embrace films that tackle slavery and civil rights. Oprah Winfrey, 59, told BBC she was “so happy” a number of new titles cover the topics. She revealed one of these movies, 12 Years a Slave, moved her to tears during the interview. 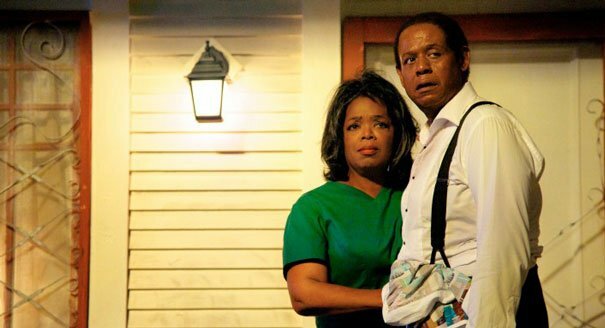 Oprah Winfrey has a starring role in The Butler, which recounts the life of an African American man who grows up on a cotton plantation. Cecil Gaines (played by Forest Whitaker) goes on to witness the Civil Rights struggle as he serves under a succession of US presidents. Oprah Winfrey takes the role of his wife Gloria. “I think everything has its time and I’m so happy for this time,” she said. “People are ready to hear it,” Oprah Winfrey added, recalling that her 1998 film Beloved, which also addressed America’s slave-owning past, was met with a cool reception – including from African American journalists. Oprah Winfrey became visibly emotional during the interview when referring to harrowing scenes in Steve McQueen’s 12 Years a Slave. She also feels The Butler has an important role. Oprah Winfrey said she had been lucky to be born in 1954 and never to have attended a racially segregated school in her native Mississippi.